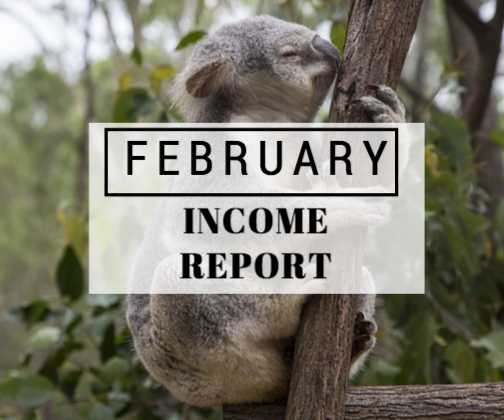 Welcome to our February income report for Lollivia. This month was a bit slower in activity since we focused on our preparation to migrate abroad for the next six months while we apply for Steph’s permanent Australian visa. I had planned to publish some more blogs during the month, but I also got caught up with deliverables from my other business. On the plus side, we have invested in web tools and equipment that we feel will enhance the content quality of our blog. I’ve trialled Sovrn for a couple of months now and the biggest issue I find is it doesn’t serve the ads properly. This means you get free space on your site and you do not get paid for the ad impressions. It is frustrating and if the service doesn’t improve, I will probably remove it from the website. Media.net has offered the biggest surprise. Despite the low page views during the month, the ads that were being served on the site offered a much higher CPM. This could be a result of text based ads being sold on the site. While I prefer image ads to give the site a more visually aesthetic appeal, it does seem like the text ads are better suited towards the monetisation process. Some changes were made to the Adsense ads to try and improve the CPM. I thin there have been slight improvements, but I don’t think it is a result of the changes. It could be due to the new content that was added in January. Currently, the ads are only set to show display ads. I may change it to a combination to see if it changes the Adsense performance in March. Without any further ado, here are the figures that you’ve been waiting for. Next month, I would like us to improve the delivery of content and promotional activity to drive more visitors to the website. Additionally, we would like to increase the direct sales activity of website ads on the site as well as affiliate income. The income amount isn’t huge or mindblowing (yet! ), however the income that was generated was passive. We plan to improve the content and web visitor count to the site and Youtube channels which should hopefully increase the earnings as well. Thanks for reading. If you would like to share any thoughts, please comment below.